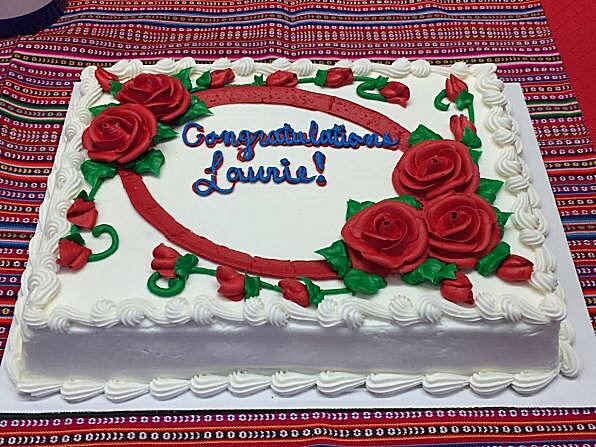 Laurie R. King at The Poisoned Pen! I can't always get to all the author events I want to attend at The Poisoned Pen. 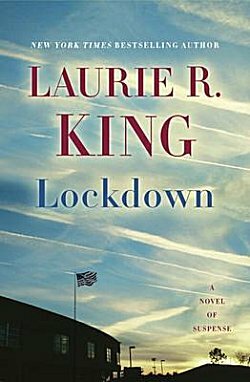 I missed Laurie R. King recently when she came to talk about her latest standalone book, Lockdown. I don't like it when I miss her because she's so knowledgeable and entertaining, and she and host Barbara Peters have such a good rapport. Fortunately I have resources that sometimes make up for the fact that I can't be in two places at the same time. This time I thought I would share some of those resources with all of you. So here you go: photos taken at King's launch of Lockdown (which happened a day earlier than the honest-to-goodness official launch) and the Livestream event. Now you can enjoy it, too. All photos are courtesy of Miles at The Poisoned Pen. Thank you, Miles! 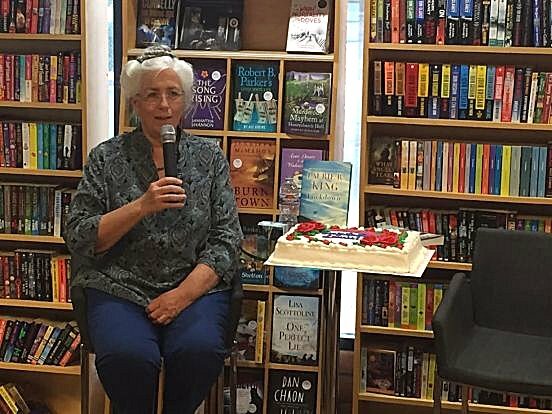 You can't have a book launch party without cake! 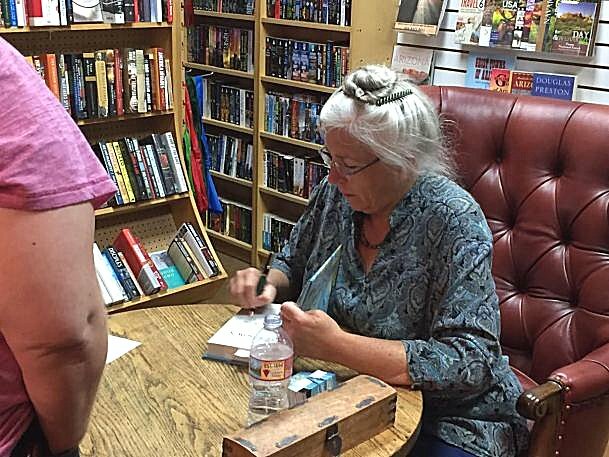 Laurie busily signing books and talking with fans. I did have the Livestream event embedded in this post, but I've received emails from some of my regular readers that it was not loading properly. The video could not be seen yet the audio was running non-stop and could not be muted even if they were reading a completely different post. Now... that would drive me around the bend, so I've removed it. Here's the link to the Laurie R. King Livestream event. I do apologize for driving some of you crazy, but-- as you can see-- I do respond to emails! Sounds so great, Cathy! And thanks very much for sharing the video. I also appreciate the reminder of King's work; I really need to spotlight one of her books, and haven't yet. Thanks. I'll look at the livestream event. 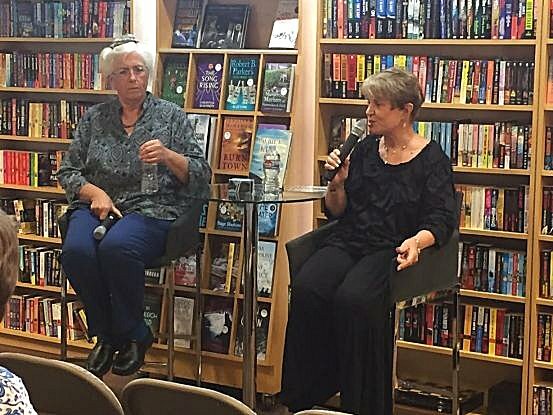 Barbara Peters and Laurie King must be entertaining and interesting to watch and hear. They both know so much. They are good friends and have gone traveling together. Between that and all their combined knowledge, I love their events. I would love to hear them, must look at the livestream.